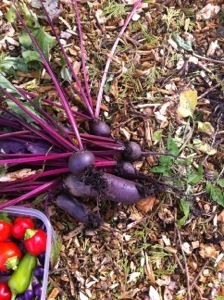 Have had limited Success with beetroot; can never get it to the huge wrecking ball size. These could been any of the bonel, cylindra or boltardy that were broadcast sown. Look reasonable enough. 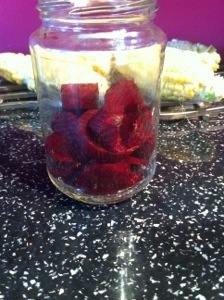 Love beetroot pickled. I picked some teeny ones but they all go in the pickling jar.